On Tuesday, January 6, the Clinton City Council will have the first reading of an ordinance that prohibits smoking inside businesses within the city limits. I have been asked to speak on behalf of GVMH and share our position. The health effects of smoking are well documented and smoking is an individual choice so there’s really no need to get into a debate about smoking. What is at play is exposure to second and third hand smoke. Here’s what I plan to say when it’s my turn to speak. If you’d like to sit in on the discussion please feel free to attend the council meeting at 6:00 pm and wear blue to show your support. GVMH is committed to the health of our community and our Vision is to make a positive difference in the health and wellness of each life we touch and as the primary health care provider in the region we have the potential to touch every life in Clinton. 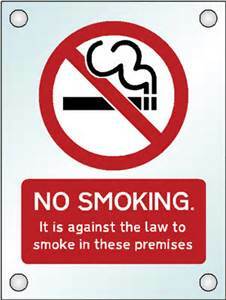 Several years ago hospitals across the state were encouraged to adopt a voluntary ban of smoking on hospital property. Most hospitals across the state voluntarily complied and a couple of years later a state law was passed that made it illegal for smoking to occur on the campus of any hospital in the state. When hospital campuses became smoke free the decision was met with resistance by both staff and patients. Staff threatened to leave and patients suggested they would seek health care elsewhere. In the end neither happened, people adjusted, habits changed and business continued as usual but more importantly health improved for thousands of Missourians. The health risks of smoking are well documented and choosing to smoke is an individual decision but exposure to secondhand smoke is not always a choice. Exposure to secondhand smoke results in long-term health effects and exposure is impossible to avoid when smoking is allowed inside public places. I have two young children and I make decisions every day to keep them safe and I would never take my children into a building if I didn’t believe it was safe but that’s exactly what happens when I take my kids into a building that allows smoking. The CDC reports that secondhand smoke is especially harmful to children and causes ear infections, respiratory infections and puts children at greater risk for sudden infant death syndrome. Second hand smoke is estimated to cause 300,000 new cases of bronchitis and pneumonia each year and result in 15,000 hospitalizations annually in children. In adults, exposure to secondhand smoke increases risk of heart disease by 25%, and increases lung cancer risk by 30%, again, according to the CDC. There is no risk free level of second-hand smoke exposure, even brief exposure can be harmful to health and the CDC endorses smoke free laws as a way to reduce the risk of heart disease and lung cancer among nonsmokers. Beyond secondhand smoke, third hand smoke causes a risk as well. The Mayo Clinic defines third hand smoke as the residual nicotine and other chemicals left on indoor surfaces by tobacco smoke. This residue reacts with common indoor pollutants to create a toxic mix. Infants, children and non-smoking adults are at risk when they inhale, ingest or touch substances containing third hand smoke. Research from the Mayo Clinic has found that the only way to protect nonsmokers from third hand smoke is to create a smoke free environment. Building a healthier community is more than a tag line at GVMH, it’s our mission, and we believe a smoking ordinance helps to make Clinton a healthier community.